Yummy Mango milkshake grabs its attention in all the juice shops during Summer Season. This delicious milkshake can be prepared within minutes. 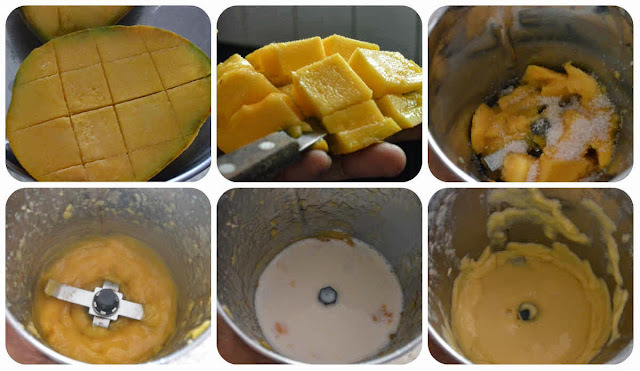 1) Cut the mango and make lines with knife as shown in pic. Then press it from backside and slice the pieces alone using knife. 2) Reserve few pieces for garnishing and add remaining pieces to mixer. Grind it to smooth paste along with Sugar. 3) Pour milk in mixer and grind again. 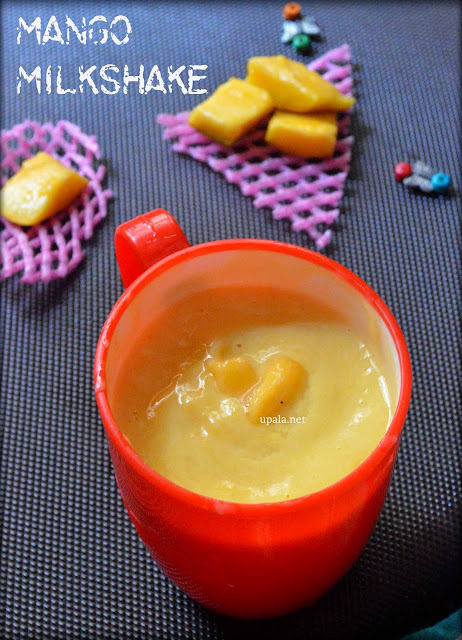 Transfer it to a Mug and add in chopped pieces of mango before serving.